Summary: Acrylic European beads belong to the European charm beads, in terms of producing components. They’re ideal beads for making jewelry. Read the following introduction to learn more information about it. Acrylic European beads are very economical and available in many shapes, colors, and sizes. The most widely used shapes include round, rondelle, barrel, column and so on. Apart from the varied shapes, color impact makes anther important role. You can neatly make use of every single piece of acrylic European beads to create your own individual style. You can also mix this kind of beads with other beads to make new image. Acrylic European beads are often lightweight and colorful, which makes them perfect beads for assorted jewelry designs. Pandahall.com, as one of China’s most reliable European beads wholesale offers different shapes of acrylic European beads like rondelle, animal shaped, plants shaped, heart shaped, star shaped, etc. 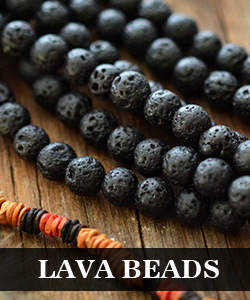 The beads sizes range from 6m to 29mm. Rondelle acrylic European beads are the most common shape on Pandahall.com. These beads we offer are with platinum color core, or silver color core or no metal core and vary in different sizes (6mm to 29mm). It has large middle holes (4mm to 9.9mm) for threads, ribbons or chains to go through and can be used for making bracelets, necklaces or as spacers between larger beads. You can choose them freely according to your requirements. Animal shaped acrylic European beads are so cute. They can add personalized style to your Pandora bracelets or charm jewelry making. Beads sizes are available from 8mm to 19mm, and hole sizes range from 4mm to 9.9mm, large enough for threads, ribbons, chains to pass. Similar like the above shaped beads, heart shaped beads can be used in making charm bracelets or necklaces. Different bead sizes vary from 8mm to 19mm and hole size, 4 to 5.9mm, for you to choose from. The above three kinds of beads are the main acrylic European beads Pandahall.com offers. 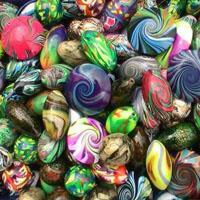 And we also provide other distinctive types of beads such as flat round, oval, skull, bowknot, etc. In one word, with the colorful decorative appearances and functional large middle holes, acrylic European beads are perfect choice for making bracelets and necklaces. If you want to wholesale European beads, do come to visit Pandahall.com, I’m sure you will find the special beads you’re looking for.